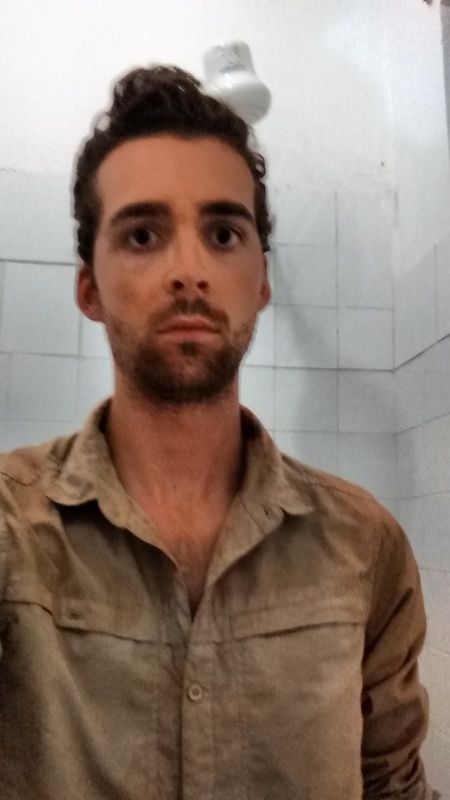 I’m going to put it out there and suggest that it would be an under exaggeration to say I looked slightly worse for wear upon my arrival in Rurrenabaque. Exhausted, bedraggled and covered head to toe in a thick layer of red dust, the owner of Hotel Oriental said a room would be ready soon (pretty awesome – it was only 8:30!). In the meantime, I could slump in one of the available hammocks in the courtyard. Ok, he might not have said slump, but that’s what I did. When a few German guys came out into the courtyard to chat, they must have wondered what the cat had dragged in. After several washes and still managing to ruin the white towel I was given, I was able to explore Rurrenabaque a bit (and take my week’s worth of travel washing to get cleaned for the first time). This was something I would do on and off for the next four days, in and amongst large amounts of lying around in hammocks. I figured I deserved the rest after all the travelling! In many ways I had mixed feelings about Rurre. It was a lovely sleepy little town, everyone there used motorbikes to get around and it was the first place I had seen a hill in so long! I really missed hills! On the other hand, it was quite obviously touristified. It was a promising arrival. I on the other hand, probably looked less so. Without going to the very edges of the town, pretty much everywhere was set up to feed western food (at almost western prices!) or to offer happy hour specials. The strangest thing about this though, was that there didn’t seem to be nearly enough tourists to prop up an industry of this size. As far as I could gather, there weren’t too many in high season either, so how many of the businesses stayed open I wasn’t sure. The touristification certainly didn’t seem necessary. Touristification or not, it’s a pretty place. Despite my having no great love for tourism though, I had been rather looking forward to talking to people in English again, after what had seemed like on eternity. The lack of tourists though, meant it was the second day before I really befriended everyone there. When I met Laura and Callum, it was a friendship borne of a mutual love of hammock lounging. It turned out Callum and Laura had been doing a lot of this, having started a few days before I arrived. 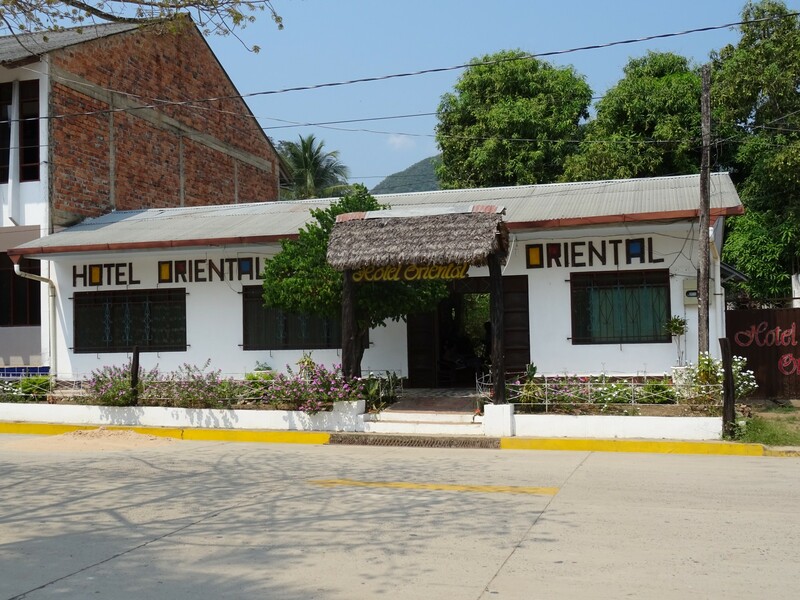 They were taking a few days break from a schedule that had seen them through Argentina and most of Bolivia already, so, like me, they were oddly not in Rurre for the jungle tours – the reason most people visit. I interrupted their couple status and hung around with them for the next few days when we’d go to eat and when, on the last day, we went to the mirador for a swim (which included a slightly hilarious mototaxi fall from Callum – it wasn’t as bad as it sounds!). Here I was, almost out the other side of the Amazon before I got in my first swimming pool! Rurrenabaque from the pool. The view’s ok i guess. It was great talking to them about the their lives back in Perth – as lawyers working a lot in criminal law they were really interesting for me, and apparently there are a few really interesting, quite controversial cases in the area at the moment. Eventually though, we all had to go. They would fly back to La Paz before heading off to Peru, while I would bus (as usual) to Coroico, a town a few hours from La Paz. Another last minute decision, based on advice and the knowledge the hiking season would end soon. Ill planned, I took a bus that expected to reach Coroico about 3:30AM (setting off at 11AM). I hadn’t realised this while booking, so I just hoped, like most Bolivian transport, that it would be late. From the moment the bus set off the scenery was stunning and it only got better as we rose into the mountains and dove into the darkness of night. Twilight only emphasised the remoteness of the villages we passed, and the lost beauty of the unbroken forest. My idiocy though, meant I couldn’t relax as on a normal night bus; I had to stay awake for the stop at Yolosita, where I needed to get off for Coroico. Have you tried taking pictures from a moving bus? Blurry eyed, at 2:30AM and with only a couple of hours of sleep we pulled up at Yolosita. 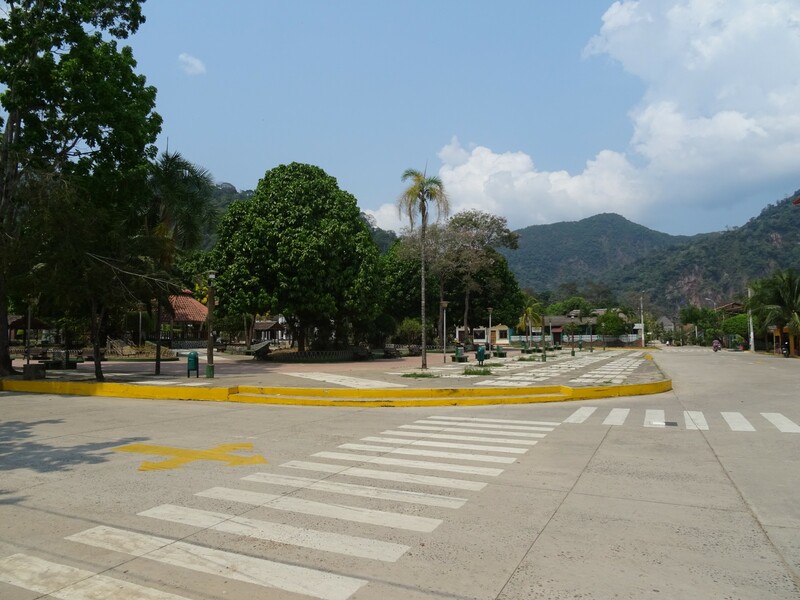 After getting off and finding the taxi/minibus area (it’s only a small strip of a village) I asked one of the taxi drivers where I could get a minibus or taxi to Coroico. He vaguely pointed toward a minibus, so I wasn’t sure whether it was specifically that one, or just in that general direction. No movement was to be seen as I waited, and no minibuses turned down the the stony road to Coroico. Every so often, I would check with one of the new taxi drivers that appeared if they were going to Coroico, only to have the same conversation with them each time. It wasn’t until about 4AM, after most taxis had been and gone, that something happened. A guy got out of the minibus. Mountain villages. Complete with authentic blur. The man pulled of the sheets and clambered out of the vehicle, promptly provoking a few people who had been sitting by the side, since before I arrived, to start getting in. Appearances can be deceiving, but it looked like the man had thrown them out, 15 minutes from Coroico, so he could have a nap! They’d been waiting at least an hour and a half! After they’d all been bundled in, I was given the opportunity to see if I would fit. Luckily, there was one seat left, and after the driver had rushed my bag off my back (apparently I was the one delaying things, not his sleeping) and shoved me in, we set off. A short drive and awkward conversation later we arrived in Coroico, where I was dropped off in the centre. I had been recommended Hostal Chawi by Laura and Callum, who’d had the whole dorm to themselves and told me it was located before the entrance to Coroico. Obviously, at 4:30, even armed with this knowledge, its pretty difficult to see anything. 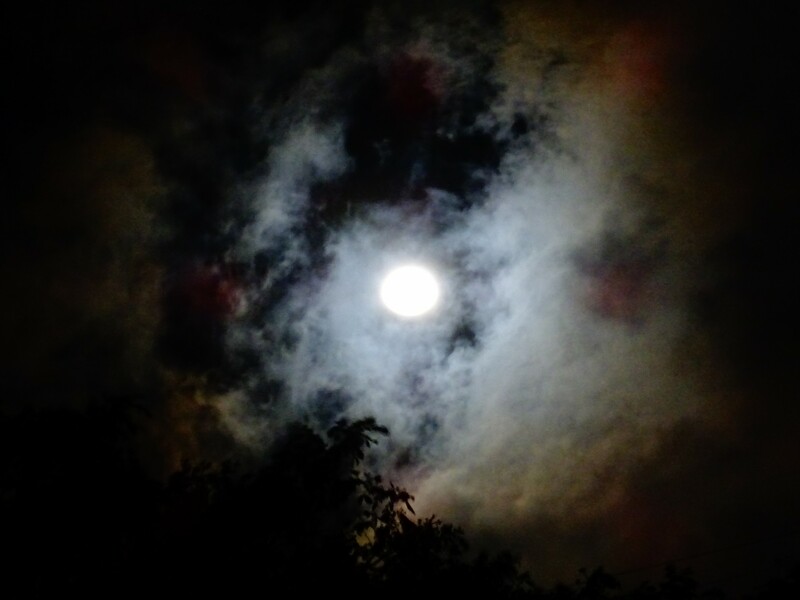 After walking down the road, well past the entrance, getting barked at by some dogs and turning back in the thought that I would wait till morning, I found it. Hidden in the bushes, a sign and small path. 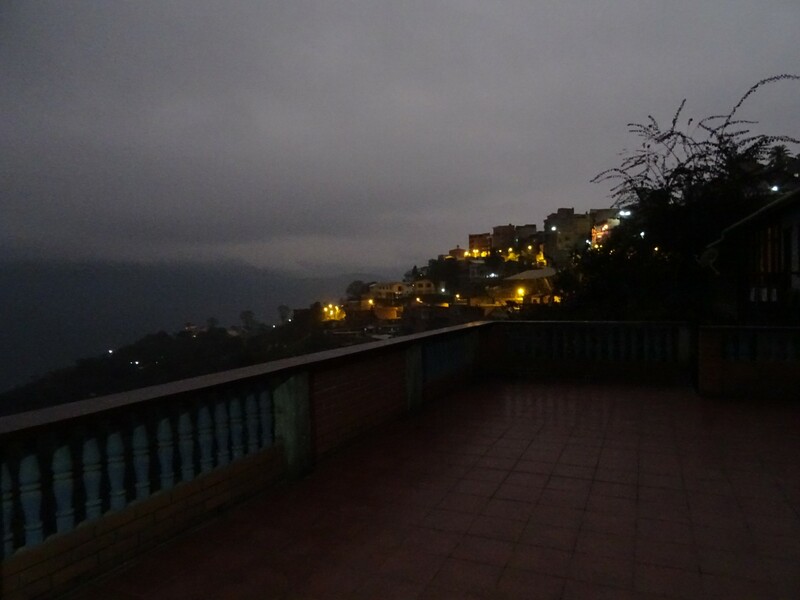 Coroico in the early hours. It’s cold, wet and dark. Salvation! After struggling with the gate and trying to be quiet I knocked on the door, unprepared for the awkward conversation to follow. A woman’s voice drifted through the barrier, asking what I wanted. A room if possible, I said, apologising for the late hour. She said this was not possible, and when I enquired why, she said there were too many people. Strange as this sounded, considering what Laura and Callum had said about the sparsity of guests, I took her word for it, closed the gate and sat on the steps. Torch and guidebook out, I attempted to figure out where to go next. All of a sudden, the woman appeared by the gate, saying if I waited she would sort something out. Reappearing a few minutes later, she led me to the patio where I could sit under a little lip of roof away from the rain. 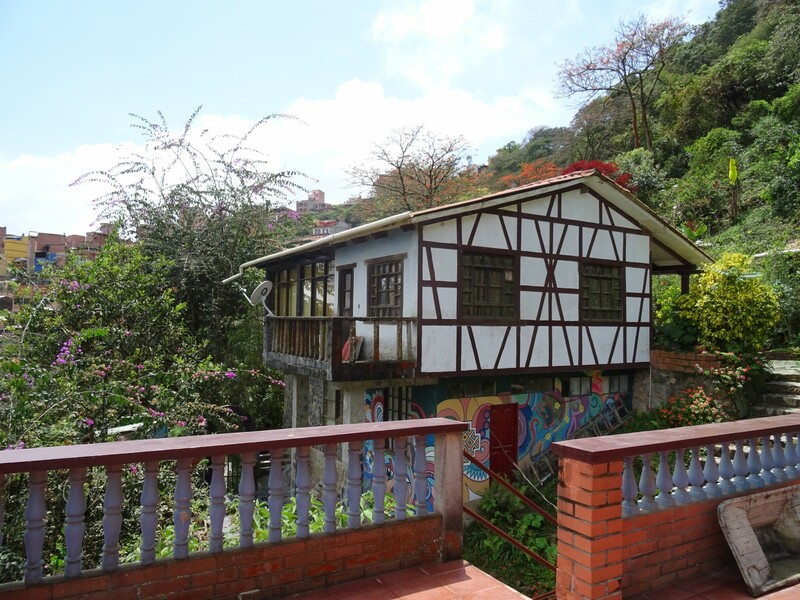 I stayed there for two hours before the owners of Hostal Chawi decided what to do with me. Who says you can’t turn up to a hostel at 4:30AM without a reservation? 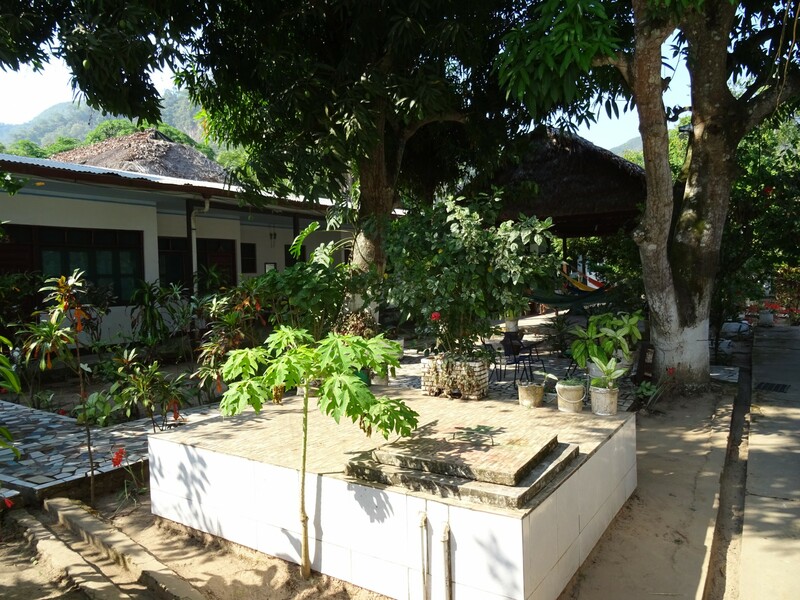 Eventually, at around seven o’clock, Charlie, the owner of Hostal Chawi came out to greet me on the terrace, and show me to my dorm. 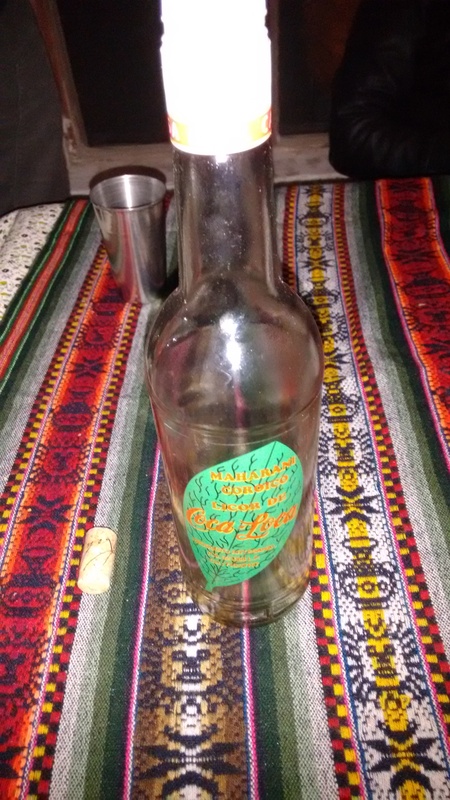 Charlie was Rhodesian, though he had lived in Bolivia for over 30 years, first in La Paz, then coming out to Coroico, and he loved to talk to guests. Any situation, from explaining that they had thought his wife needed to go to Sucre (the cause of the previous night’s issue), before it turned out she didn’t, to the political climate in Bolivia. In fact, he spent a while doing that that morning, while his Bolivian wife told him off for keeping me out in the rain. I think the only thing Charlie liked more than talking was the coca leaves he consistently chewed. They left a permanent black line on his lip. Worth the effort I think. Once in the dorm I met Lauren and Mike, a redheaded (and big bearded for Mike) South African couple who had arrived the day before. They were the sole tenants in the dorm, so in the strictest sense I’d say it wasn’t full. Lauren and Mike were great, and as in Rurrenabaque, I latched on and hung about with them for the day. I’d like to say we did something productive, but to be honest it was raining – we spent pretty much the whole day chatting in a local garden bar. This was probably for the best, considering how little sleep I’d had. Coroico looks friendlier in the light. 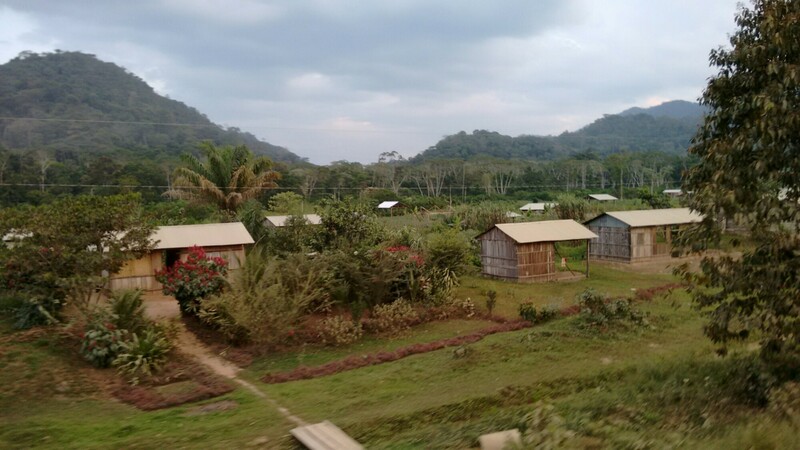 The next day, we set out to do what I had come to Coroico for. A hike! 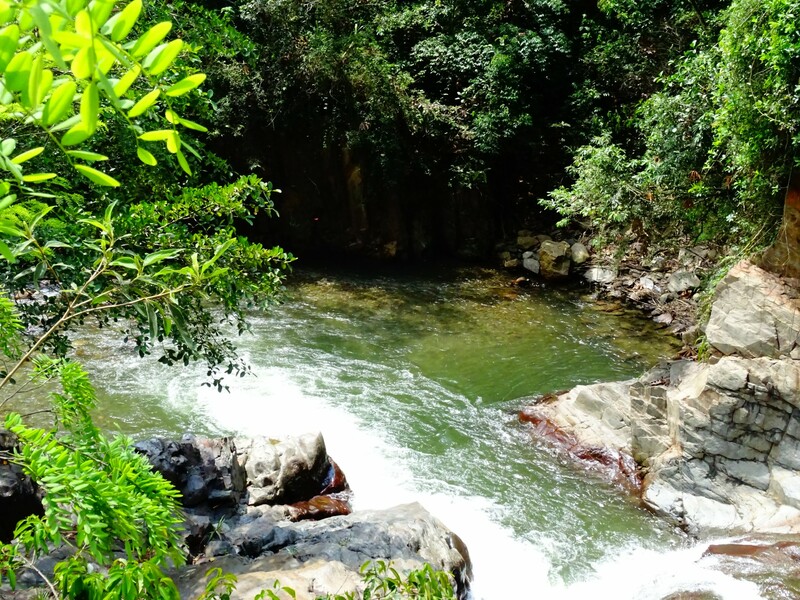 The beautiful surrounding landscape is practically begging to be seen, and after finding out what things were good to see, we set off for the Vagantes, a nearby river with a nice bathing spot. Almost at the 4km mark already. Lauren’s not convinced. 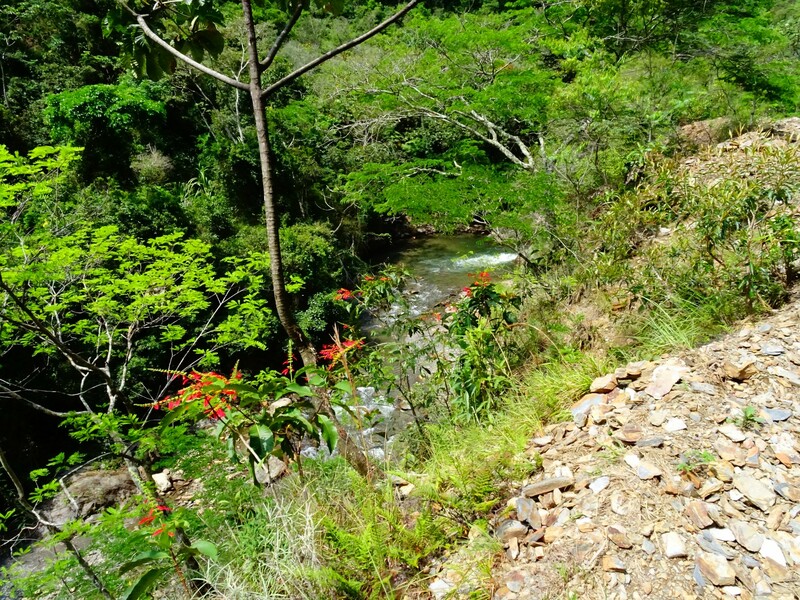 The trail mostly took us downhill, the river being at the bottom of the next valley, and as we left Coroico a sign said it way 7km away. It sounded fine, a gentle walk even, considering that the tourism office had said that we could get a taxi or minibus back up. The next sign said 4km. 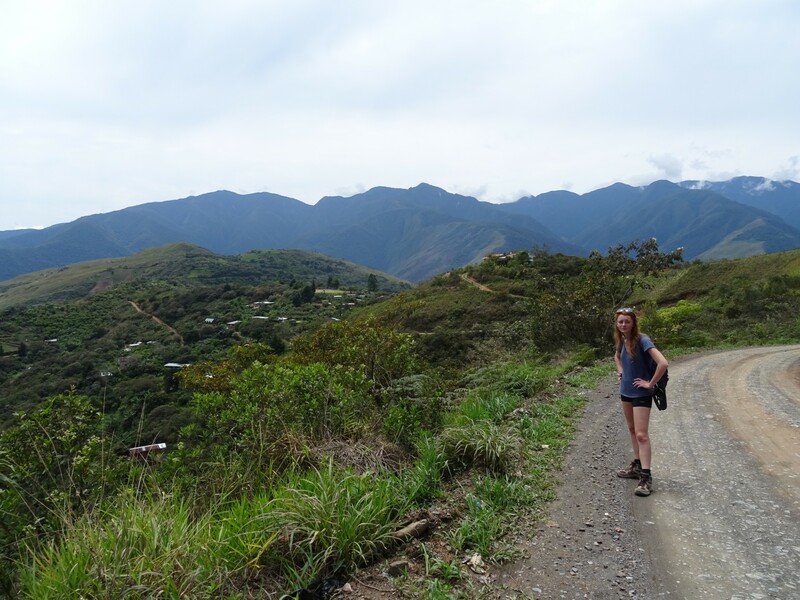 We’d felt we’d not gone far, so we were pretty sceptical – maybe they were special Bolivian kilometres – they do walk slowly! Nope. This was not the case. After descending the seemingly unending track, complete with sign especially for tourists (that I still suspect was placed to lead them into a trap), we reached the Vagantes. Actually, it took a bit of searching and going the wrong direction along the river, but we did reach it. It was stunning – set deep after a shallow waterfall, current just strong enough to make it awkward to sit still. There was only one problem. The flies. It’s lovely, but you can’t see the flies from here. They had obviously cottoned on to the fact that tourists frequented the pool, and swarmed the banks. Getting out, I had to put more effort into swatting flies than protecting Lauren and Mike from the full view of my now wet, light grey undies (I may have forgotten to bring swim shorts). 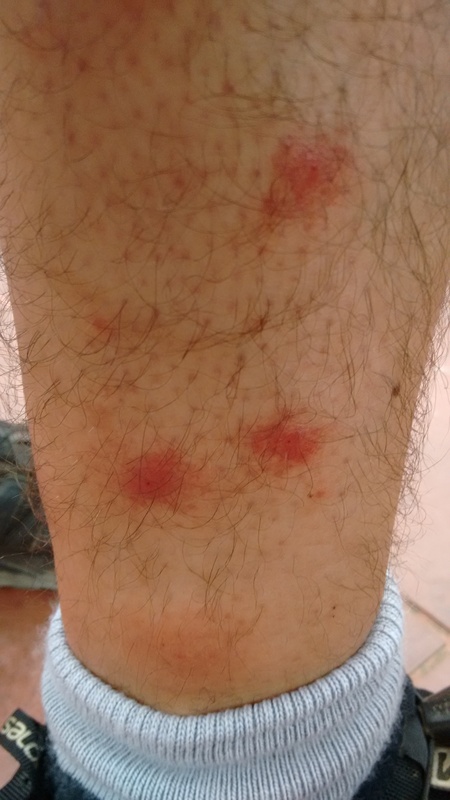 My pasty British legs were overrun – I didn’t know it yet, but in six hours the bites would swell to the size of cherry tomatoes and would be more itchy than any from the Amazon. Leprosy had set in. 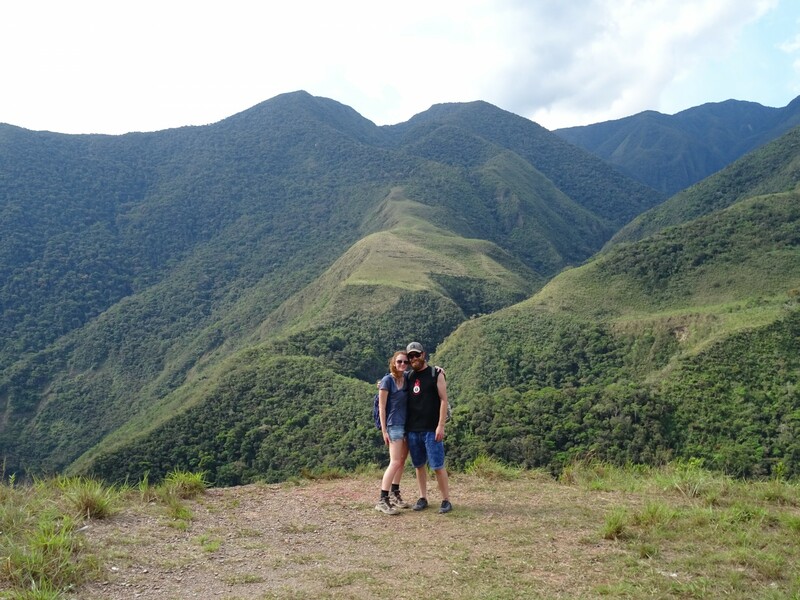 Lauren, Mike and the Yungas mountains. Rain again soured the next day. Originally, (after the previous day’s gruelling trek) we’d set it aside for finding a pool, but it quickly became a day for updating diaries and unsuccessfully trying to find good enough internet to post online. Erin and Alex, a couple of enthusiastic American birdwatching travellers arrived this day. When Mike and Lauren sadly left the next morning, I imposed myself on them instead. No it’s not a habit! Honest! 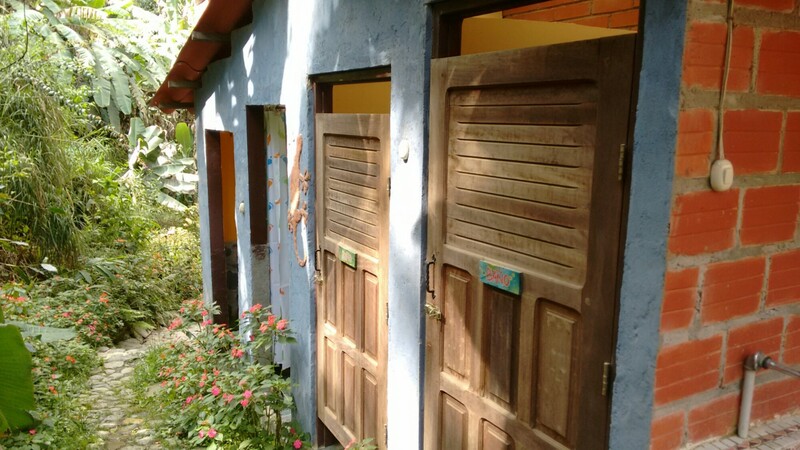 Outdoor banos y duchas. Its a luxurious life, that’s for sure. Erin and I hiked over to the three waterfalls the next day, or rather, I hobbled. I was still stiff as anything from the hike two days previous. Taking the route over the mountain behind us (Uchumachi), we took the wrong turn several times and really weren’t sure we were going the right direction. In fact, even one we’d reached the waterfalls, we weren’t sure we’d got there. They were pathetic. I’ve seen more water dribble out of a baby’s mouth. It was absolutely laughable that this was an attraction for tourists, including many Bolivians. I can only hope they’re better in wet season, for the sake of sanity. In the evening, I was roped in as substitute for a special ceremony. It was the night of Alex’s Man Club, an event being held by the other members back in Oregon, but since he was stuck several thousand miles away, new blood was needed. With some beers and, more importantly, some Coca Loca, a spirit made from the leaves the locals chew (which apparently the shopkeeper said was 40%) we spent the evening on the terrace talking about really manly stuff. Definitely nothing effeminate at all. Nope. Ok, this was taken at a later date, but i’m working on getting hold of an original! 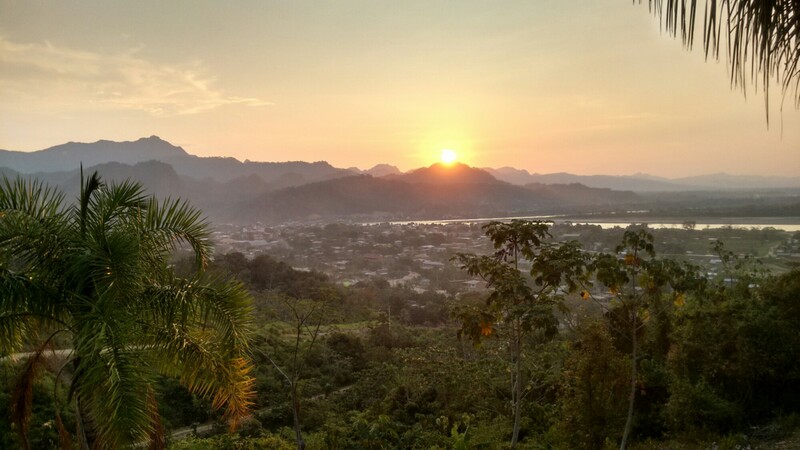 My last day in Coroico was fraught with annoyance and disappointment. While I struggled, in vain, to find internet good enough to post on the blog, the main problem was my washing. I’d given it in at the Tourist Information office at 11 o’clock the previous day and been told to collect it at 7PM, only for it to be closed on my return. After dropping in four times on my last day, when the office had been open but noone could be found, I decided I would wait. Pretty cloud formations. Definitely not what I was thinking about during Man Club. I’d waited two hours by the time the guy who worked there arrived, and after requesting my washing, it took another 45 minutes for the man with it to arrive. In the meantime, the TI guy was throwing out excuses such as the rain – this could only possibly have been a problem for the previous couple of hours, it had been sunny for the rest of the time! When I finally got the washing, some of the clothes had been stretched, some dyed pink and bits had been lost (which I only realised later). Most ridiculous of all though, it was actually still wet! I had to spend the evening drying it around the hostel dorm, exactly what I had been trying to avoid. Pissed off didn’t cut it. It’s a pretty decent view from Hostal Chawi. 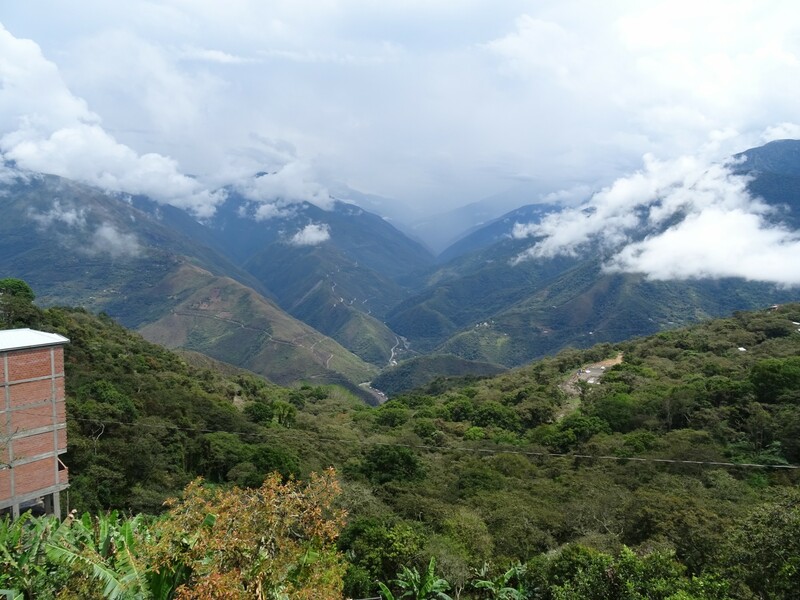 On the clearest day you can see all the way to Huayna Potosi. 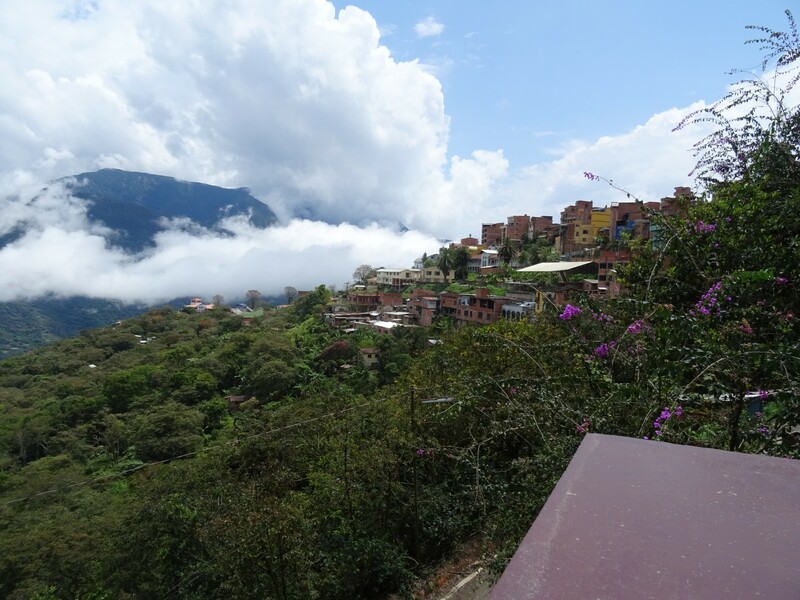 Coroico wasn’t spoilt, and when Erin, Alex and I left the next morning, my washing almost dry, it was with a tinge of sadness – even if I was still ranting. A new city beckoned though – the first in a while. La Paz. The city in a bowl. NB. Erin and Alex have their own blog at lowerthebarformorefun.wordpress.com so if you fancy reading more South American adventures, complete with far more competence and organisation than i could ever muster, head over there! Don’t forget to come back here though. I’m warning you. NB2. A couple of pictures are missing due to memory card corruption, but I´m working on getting hold of them again. This may take time, so bear with me! 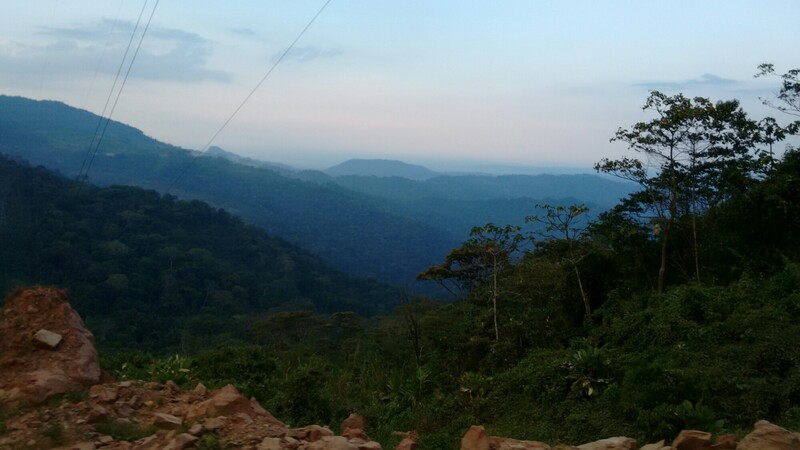 Bus Travel, Hanging in Hammocks, Hiking, Language Issues, Mototaxi, September 2015, Spectacular Views. Bookmark. Thanks for linking to our blog Doug! I’m glad our “waterfall hike” made your post. I never wrote about it because it was so disappointing. But you were good company nonetheless. No worries! You’ll be in the next too! I figured the waterfalls were so exceptionally bad that it was worth it! I’ll put a picture up soon since I’ve managed to save those I’ve lost. That was an adventure that deserves a blog post in itself! You look so tired and dirty in the first photo. It brings back so many memories for me of similar travels. The scenery looks stunning. Soak it all up as it will pass so quickly. The hotel owner didn’t recognise me after I’d showered and shaved!